Beavers and otters might occupy the same sorts of aquatic habitats, and their ranges often overlap, but they are completely different animals. Even from a distance, it is straightforward to distinguish the two. They have different bodies, different diets and different roles in the ecosystem. The 13 species of otter come in different sizes, but they all have the same basic form of a sleek, elongated body with a powerful tail and slightly webbed feet for swimming. The two species of beaver, the North American beaver and the Eurasian beaver, have a quite different shape. Beavers are rodents, and they have the typical rounded body of rodents, along with a blunt face and well-developed front teeth for gnawing. Like otters, beavers also have a tail adapted for swimming -- in their case for steering -- but it is broader and flatter. An otter’s tail looks like a muscular cat’s tail, a beaver’s tail looks like a paddle. Both groups of animal have thick, brown waterproof coats to keep them warm in their partially aquatic environment. Both otters and beavers are semiaquatic, spending much of their time in the water. The various species of otters are found in freshwater and marine habitats throughout Asia, Europe, North and South America and Africa. The natural habitat of beavers is limited to freshwater in North America, Europe and parts of Asia. The North American beaver is widespread in the United States and Canada, while the Eurasian beaver once had a range that covered much of Europe and Asia. Otters are carnivores, living on fish, amphibians, aquatic reptiles and invertebrates and often taking the role of top predator in freshwater ecosystems. Beavers, on the other hand, are herbivores, eating mostly leaves, roots, bark and twigs. Their most obvious impact on their environment is their damming. Beavers radically alter their own habitat when they construct large dams to block the flow of water downstream to create the large ponds they prefer. The thick coats of these animals have been their downfall. Both otters and beavers were subject to uncontrolled trapping for their pelts in the 19th and 20th centuries, and as a result they have disappeared from many of their former haunts. They have also suffered from habitat destruction and water pollution. 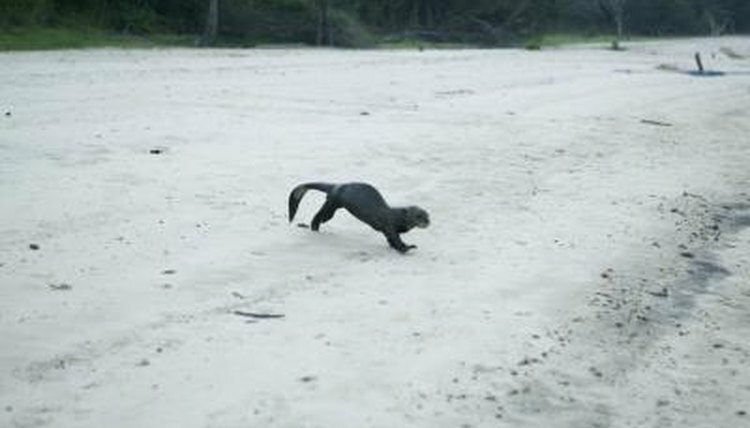 Increased regulation of trapping has led to the North American river otter making a comeback in some areas, but the other species are still vulnerable. The International Union for Conservation of Nature lists five otter species as endangered and eight species as decreasing in numbers. The populations of both species of beaver, on the other hand, are stable or increasing. Reintroduction programs began for beavers in the 20th century and appear to have been a success, with numbers of Eurasian beavers steadily recovering. Beavers are sometimes regarded as a nuisance because of their damming activities, and otters are occasionally blamed for the loss of fish stocks, although neither group has been extensively persecuted as a pest. However, reintroduction programs can encounter opposition from people who prefer freshwater ecosystems not to have either beavers or otters. How Do Saltwater Fish Deal With Osmosis?